It’s easy to apply for financing and drive off in your next Hyundai. Our Financing experts can help you secure the best rate and find you an affordable car loan. Our process is easy and secure. Simply fill out the form on this page to start your application. Our team will review your application and reach out to you with more information about Hyundai financing that suits your credit situation. From students just starting to build credit to adults who are facing credit challenges, we can help find a financing option that works for you. Our financing department is dedicated to helping all our applicants find an affordable loan that suits their lifestyle and protect their investment with incredible warranty packages. 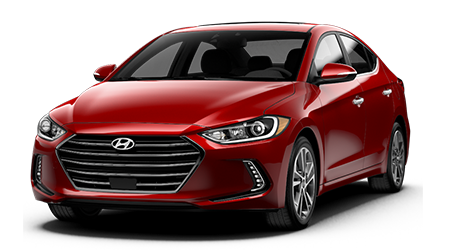 Start your online credit application now and learn more about how you can get behind the wheel of a new Hyundai with an incredible auto loan rate. Not Ready to Apply for Financing? Still searching for the perfect vehicle? Shop our new and used inventory to find the Hyundai car, truck or SUV that works best for you or contact our team and let them know what you’re looking for. Looking to Trade In Your Vehicle? Clarington Hyundai will purchase your used vehicle even if you don’t want to buy one of ours. We buy high quality used vehicles of all makes and models. Learn more about our trade in appraisal process.